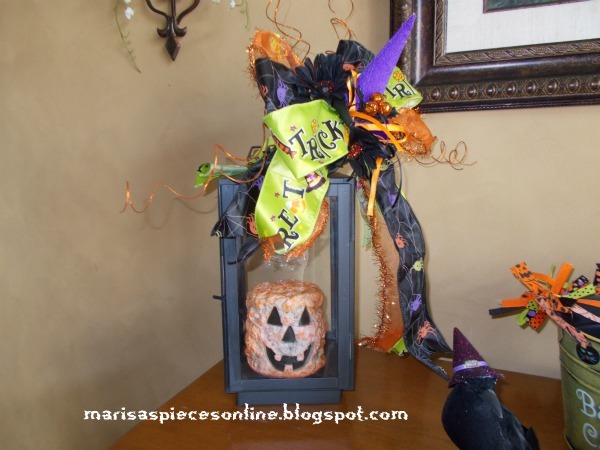 My entryway table with a spider, a crow and a puppy; Oh my! 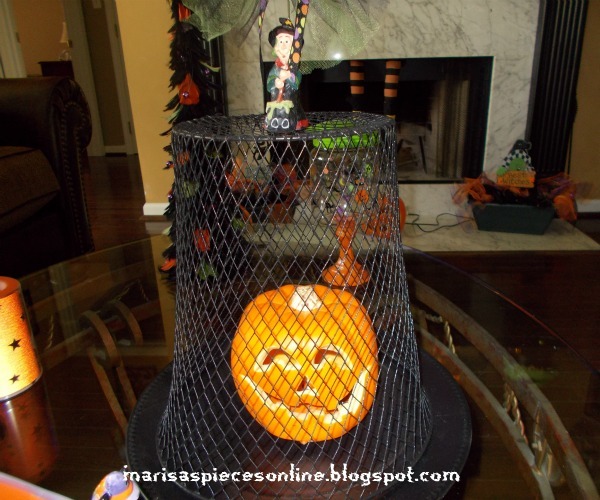 The lantern all dressed up with Mr. Pumpkin candle inside. This puppy flower arrangement would look cute as a centerpiece for your table or just to incorporate it into your decor. 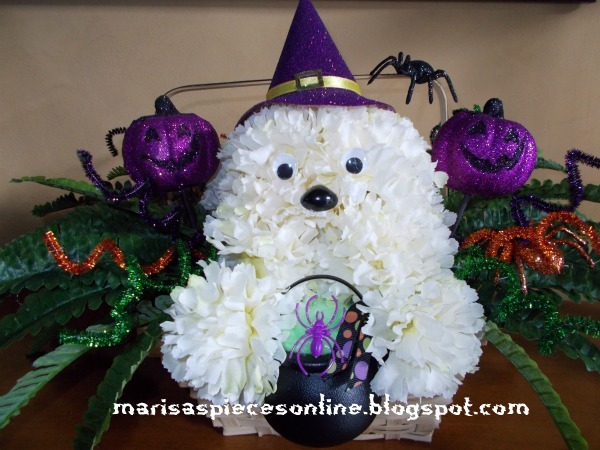 She has a witch hat and cauldron and she is ready for Halloween. I've also started this haunted halloween village. My mother-in-law gave me the big house...oh Lord, when Jeff and I first got married and I made the tree last year. 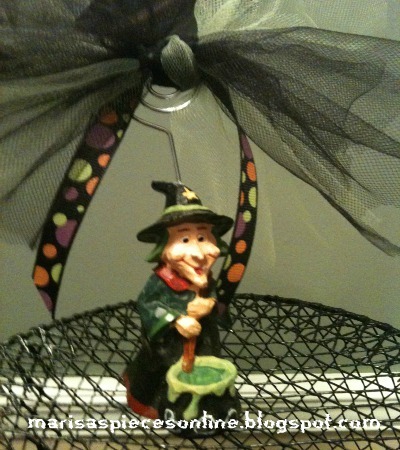 It was from Dollar Tree and I painted it black and added some ornaments and tied tulle to the branches. 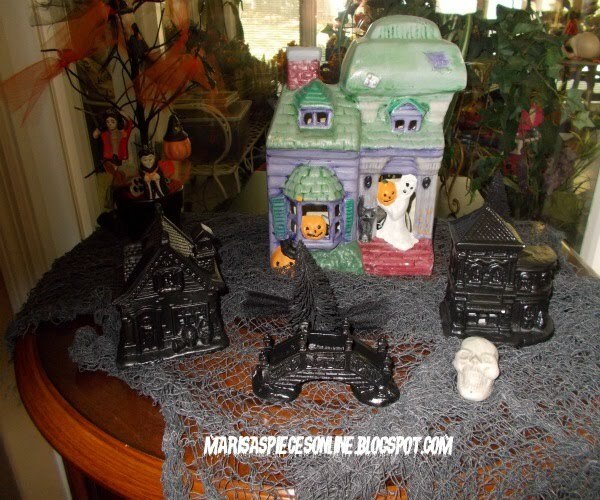 The small houses, trees and bridge are from...... you guessed it.. Dollar Tree and I spray painted those pieces. I made another cloche. 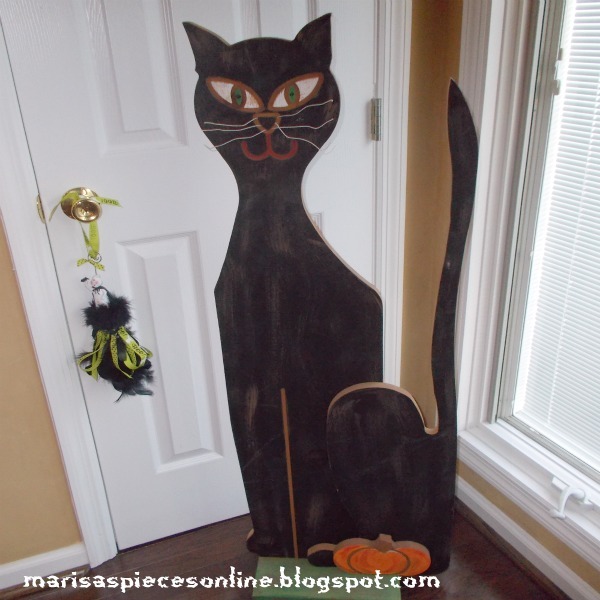 Ya'll know how much I like making these with Dollar Tree garbage cans. 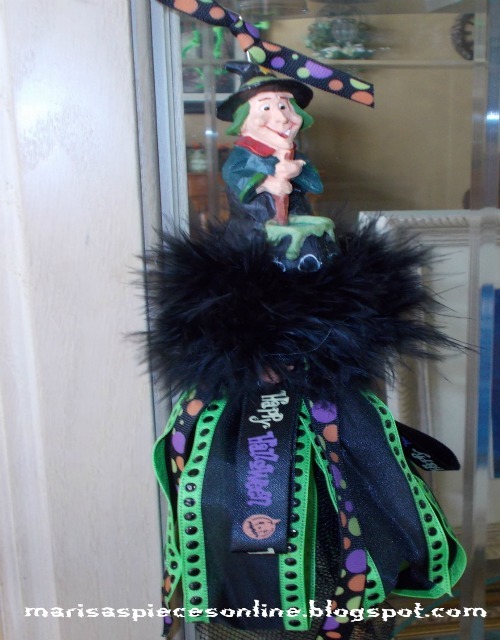 I put a witch on top and added tulle and ribbon. 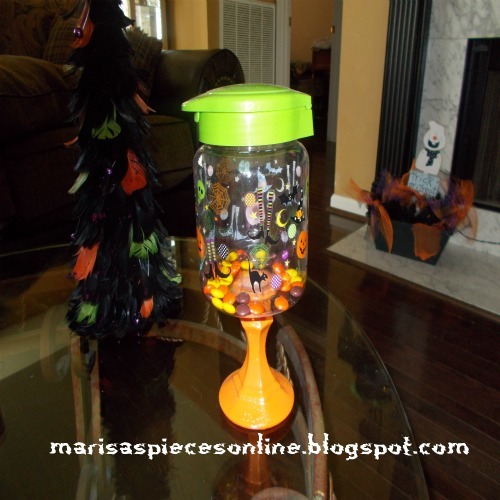 This is another candy jar that I made. 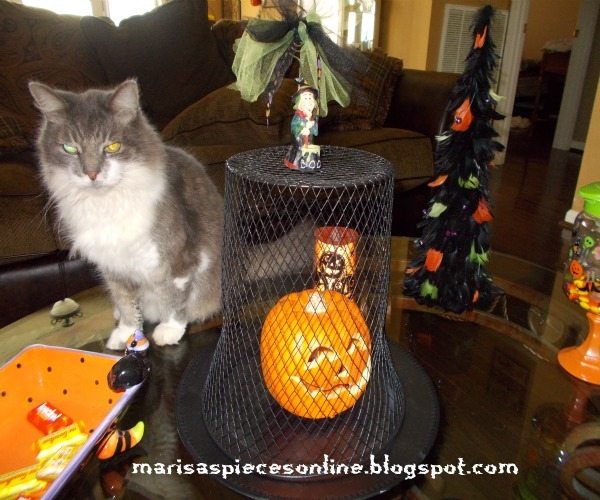 The jar came from Old Time Pottery and I painted the candlestick orange and that came from Dollar Tree. This is "Big Kitty". I bought her at a craft show years ago and the eyes have green lights in them. 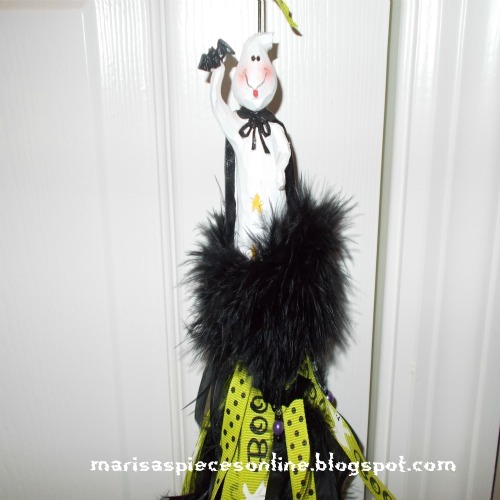 I made the ghost tassel hanging on the door. Ladies, we have to have some glam and this is my Pink-O-Ween. 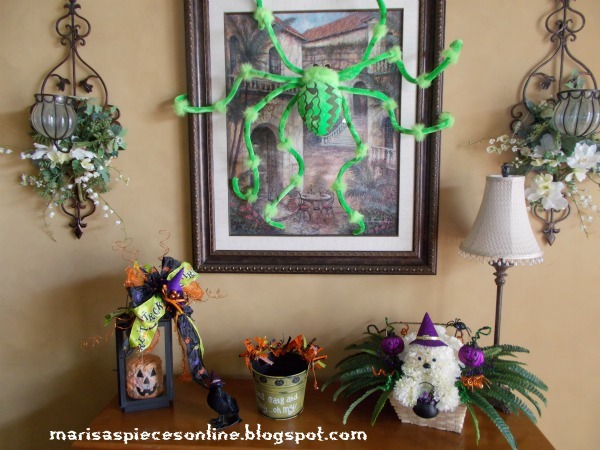 I made the wreath last year and the skull and spider climbing up the table came from Target. 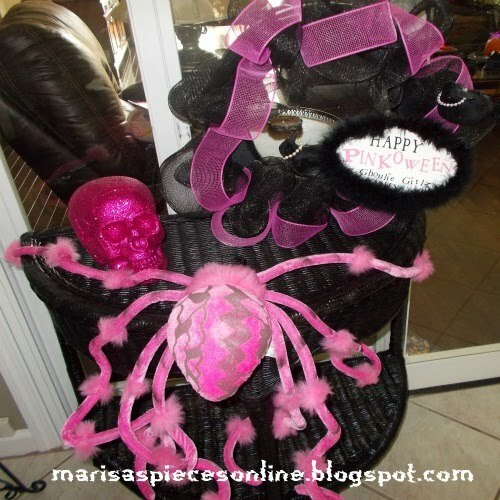 I still want to make some more Pink-O-Ween pieces. So cute! 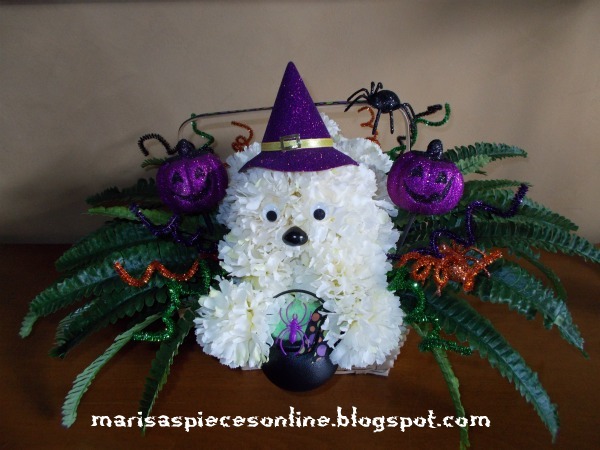 I love the puppy flower arrangement and I have to find that pink spider for my house! Too bad the nearest Target is an hour away :( So adorable!